The European Cultural Capital is a city nominated by the European Union for one year during which several cultural and social events with an important European impact are organized. Being an European Cultural Capital values a great deal if you consider all the social and economic benefits that country takes advantage of. 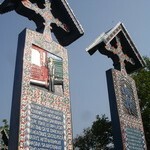 However Romanians feel honoured to have been hosts of the many European events in their own country in 2007. And it is not about the money, it’s about having been chosen from many other important countries. 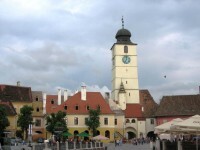 Thus the country’s visibility and profile raised on the international scale once with the European Union alleged Sibiu as the European Cultural Capital in 2007. The designation of European Capital was possibly mainly due to the great collaboration between Sibiu and Luxembourg and especially because of the social rebirth the city went through in the past few years. As expected this has led to an increase in the number and quality of cultural events in the area. Even more Forbes magazine proclaimed Sibiu as “Europe’s 8th most idyllic place to live” due to the wonderful events and amazing history this place impresses its visitors with. 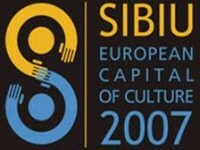 The nomination of Sibiu as a European Cultural Capital was an opportunity for its locals and authorities to present their city, their way of life, to meet their artists, taste their cuisine and wines and to visit museums that preserve beautiful art collection, in a nutshell to discover Sibiu. 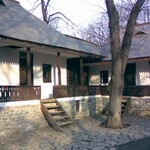 There have been different projects held during 2007, in the area of music, heritage, literature, visual arts, mobility, architecture, film and photo. To name only but a few of these amazing events, Sibiu hosted the 37th edition of Jazz Festival, MTV Romanian awards, Folk Tradition National Festival, International Book Fair, European Poetry Festival, the 20th European Meeting of Cultural Journals, Street debate public art and many others. The idea with all these events has not only been that of respecting the regulations imposed by the European Union, but also to start a long tradition of such wonderful activities in the area. This is why Sibiu as a European Cultural Capital in 2007 has led to many cultural and social manifests that are being held nowadays as well. Just book a ticket to this amazing destination and your holiday will turn into an enriching cultural experience.